Last year we had the 10×10 Board Game Challenge. The challenge was to pick 10 board games you want to play more of, and over the year 2014 play those games 10 times each. The purpose of the challenge was to encourage people to play more games over the year. This year we decided we wanted to come up with a new challenge. We wanted it to somehow help the board game industry as well as be fun for us. The challenge we settled on was the Tinkerbots 5×12 Challenge. Why 5 people? Why not more or less? Well we asked around and the numbers each person felt they could manage varied quite a lot. We settled on 5 people as it’s a number that’s possible for most people so the challenge is accomplishable, but if you get more people in one month, great! Keep up the good work! So what to do next? Go out there and spread the word! And tell us how you’re doing! Let us know in the comments below or by tweeting us. 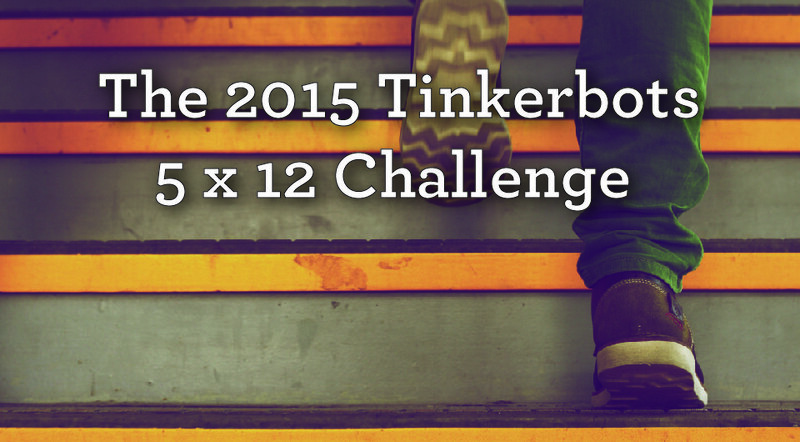 One Response to "The 2015 Tinkerbots 5×12 Challenge"